Create a wonderful bouquet of flowers or layer the different sizes to make a beautiful dimensional bloom. 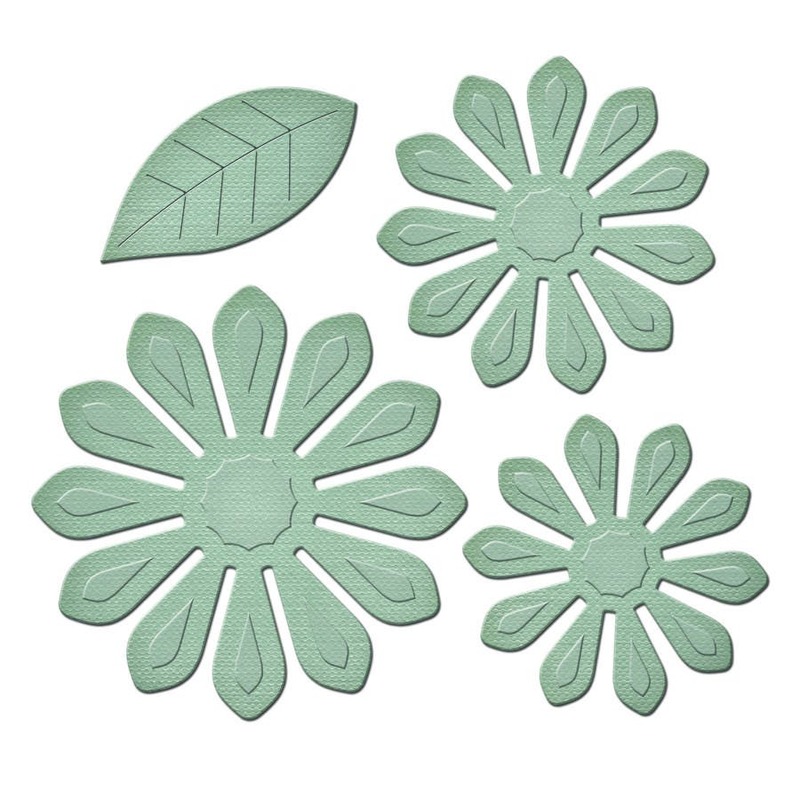 This set also includes a leaf and stem element that can be used in many different ways. Spellbinders® presents A Gilded Life Studio by Debbie Murray and Shea Fragoso, a mother/daughter design team who have an eye for beauty and luxury. From pendants, bezels and matching die templates to embellishments and more, this unique and glamorous line of mixed media products brings romance, European flair and affordable luxury to all your handmade one-of-a-kind creations.